Diana is a champion of structure and practitioner of disruptive fresh writing. With expertise based in experience and a constant attention to consumer trends, she is often called upon to write the line that expresses a brand’s new positioning. In this regard, she wrote Follow Your Inner Star for American Girl, A Little Wonder Goes a Long Way for PBS Kids and The Hug You Wear for Snugli. Diana is also a published playwright and optioned screenwriter, as well as writing coach and teacher with a strong philosophy based on the principles of story construction. 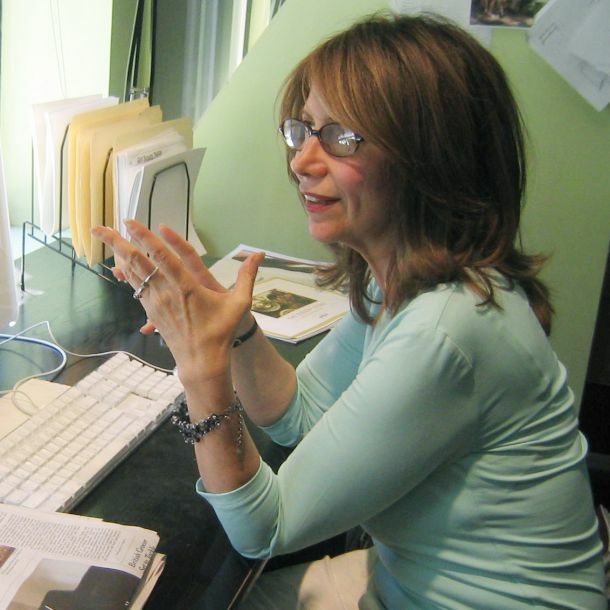 She founded WordWorks, one of the premier ad agencies in the Berkshires. Diana comes from a long line of English teachers and she received her BA in English at Rochester University. I was always a wizard with words and it seemed like a natural place to apply my talent. What was "your finest moment," the thing you're most proud of? My two sons, although that is happily more than one moment. I read everything I can on client and industry; and then sleep on it. In the morning, ideas flow.